We're halfway through designing our new display table for Franck's Bridal Studio! Now that the table has been dressed with linens, it's time to accessorize by selecting a charger plate, napkin detail and chair. Details like these are sometimes overlooked, but can really make all the difference in transforming your reception from ordinary to extraordinary. 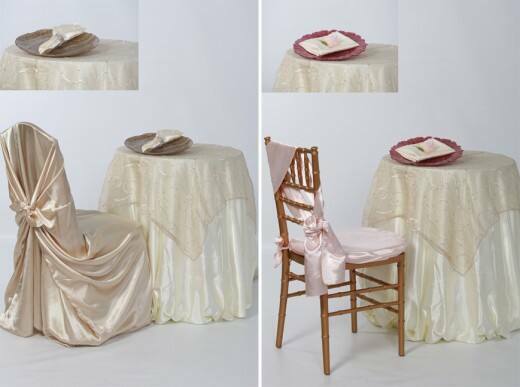 Don't forget to head over to our Disney's Fairy Tale Weddings & Honeymoons Facebook page to "Like" the table you want to see on display at Franck's Bridal Studio. And be sure to check back next week to help select the final element and focal point...drum roll please...the centerpiece. 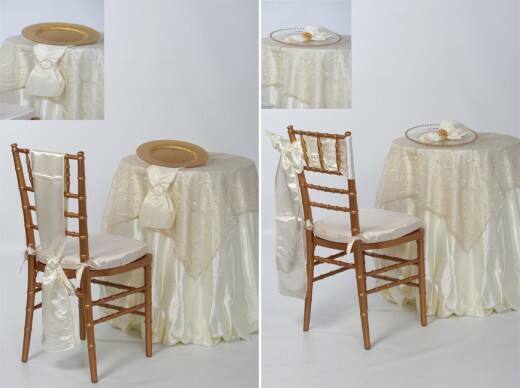 Napkins, chargers and chairs- oh my!